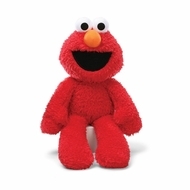 Fuzzy plush Elmo with rag doll feel. The world's most huggable since 1898. Surface washable.